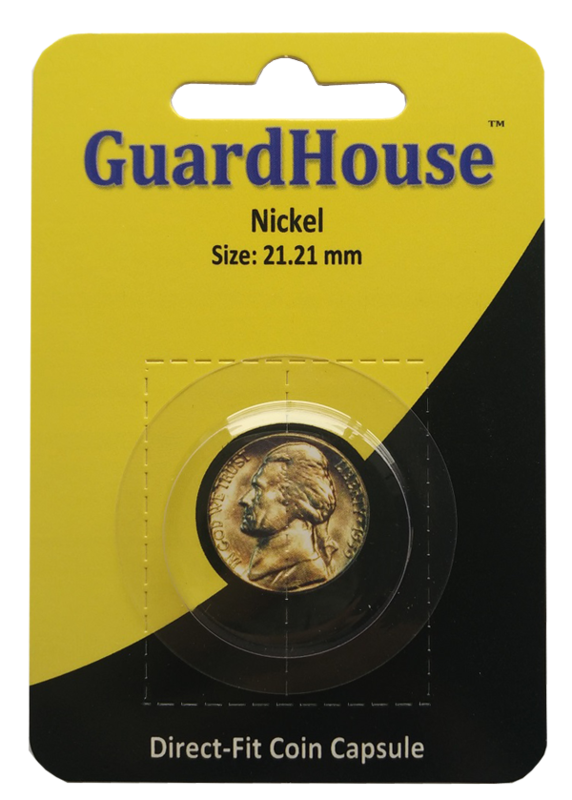 Protect your valuable coins from finger oils, scratches, drops and all other physical dangers with acrylic cases. 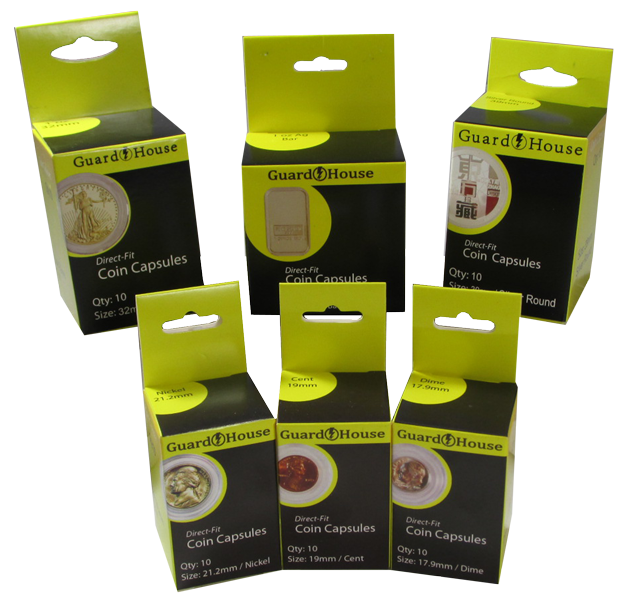 Guardhouse coin capsules snap tightly around your coin to protect it from all sides while still allowing perfect viewing. 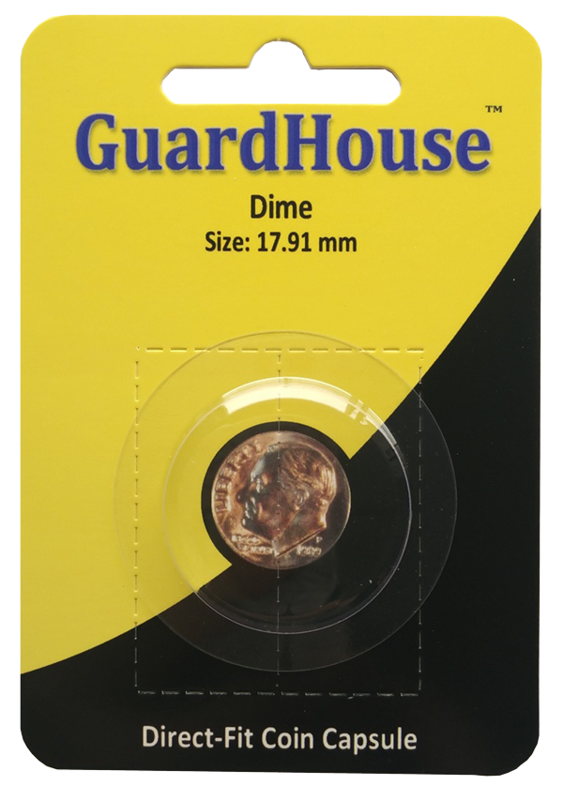 Your collection may not be carefully preserved in a Smithsonian Museum but your coins won't know it. 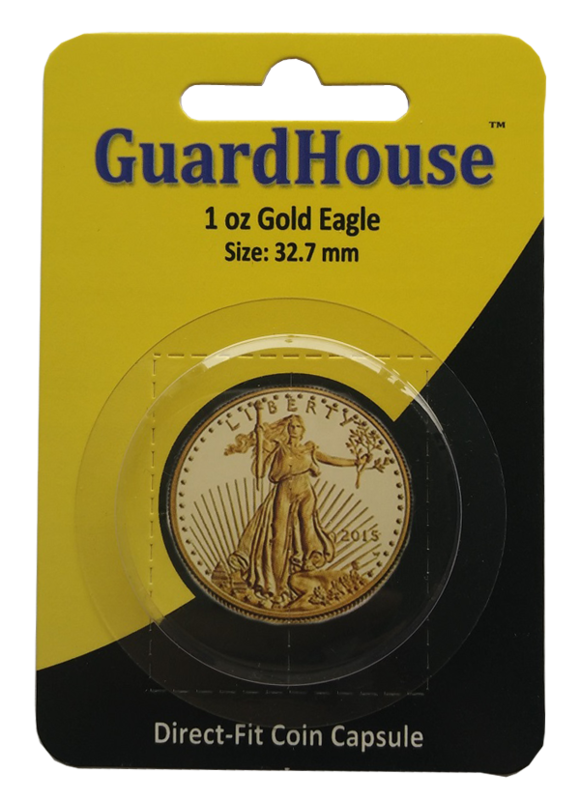 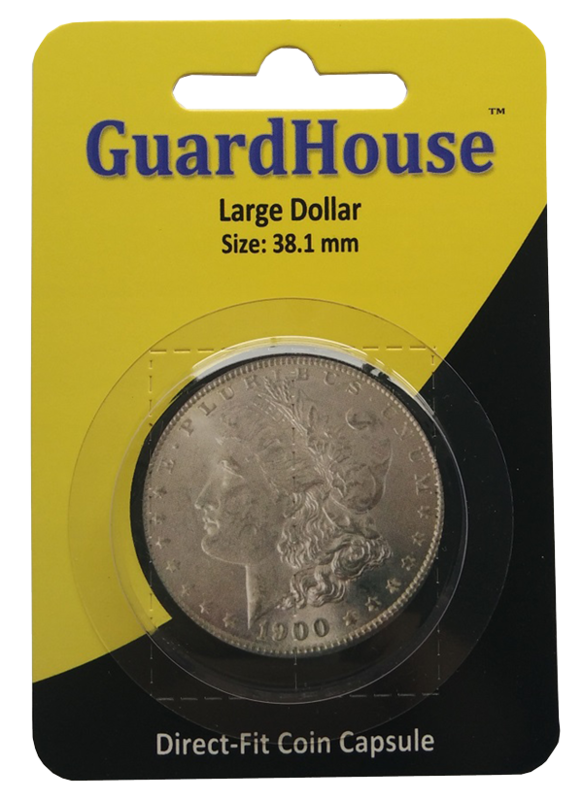 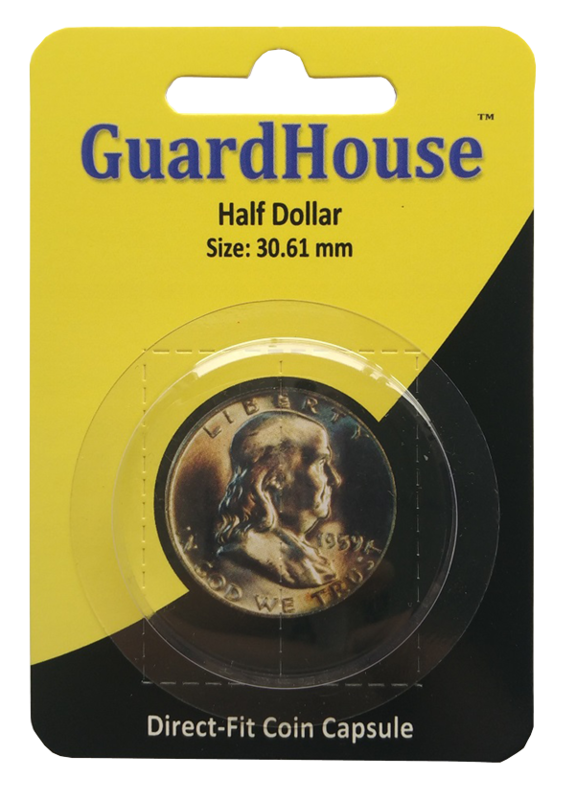 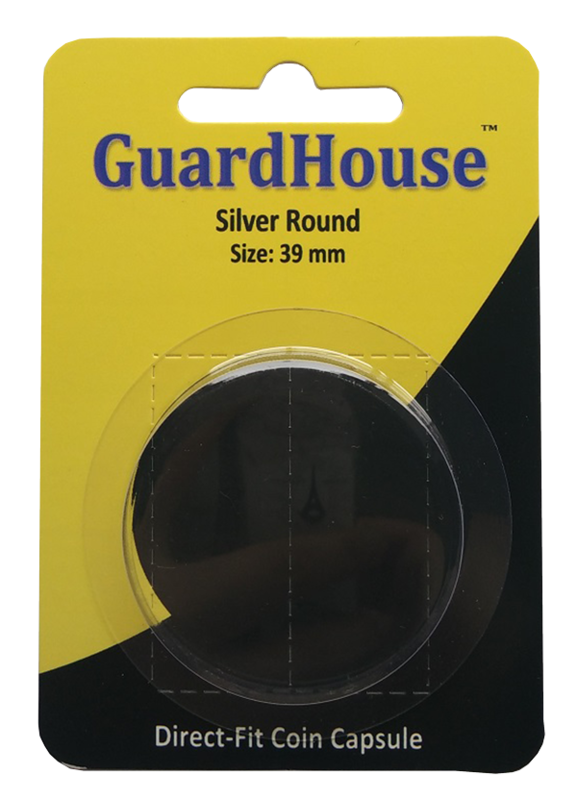 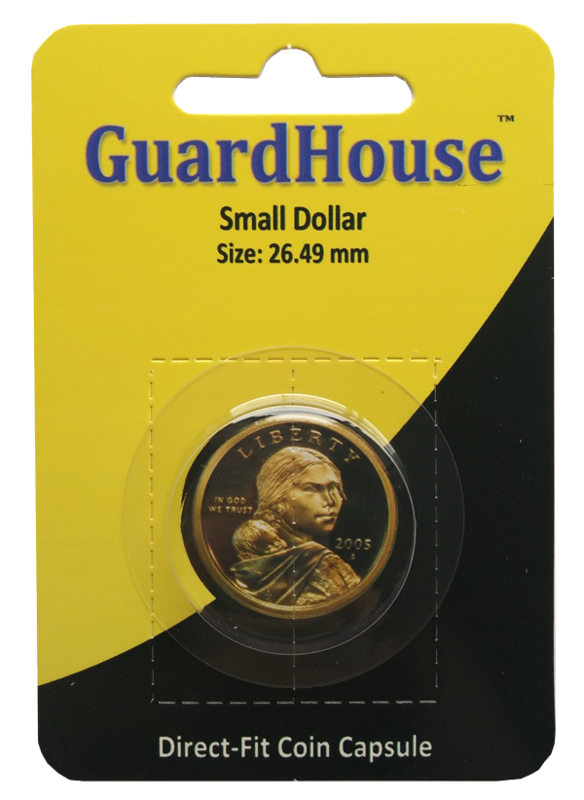 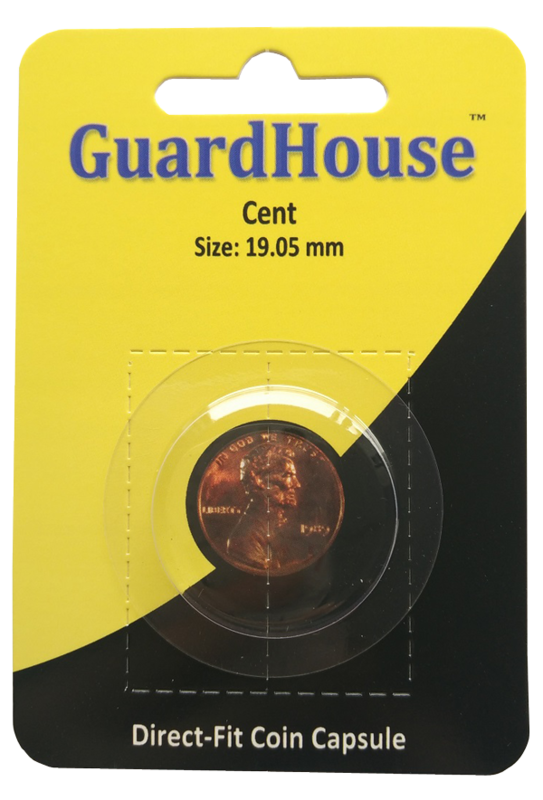 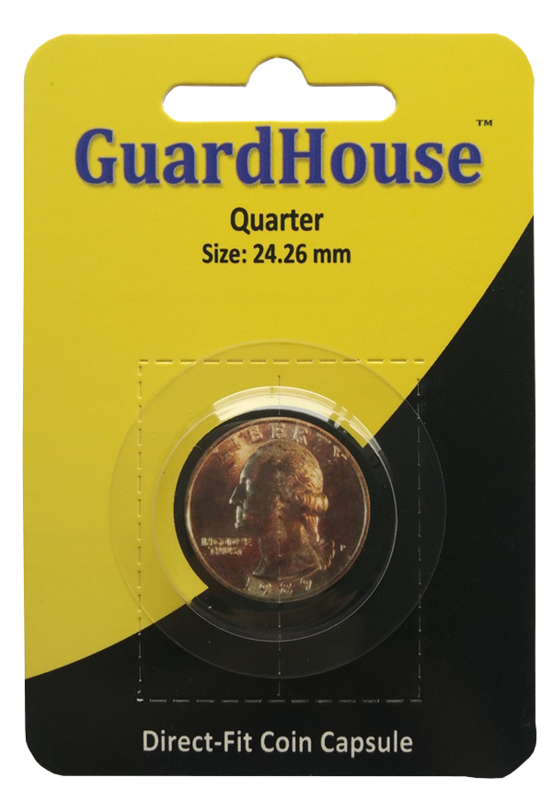 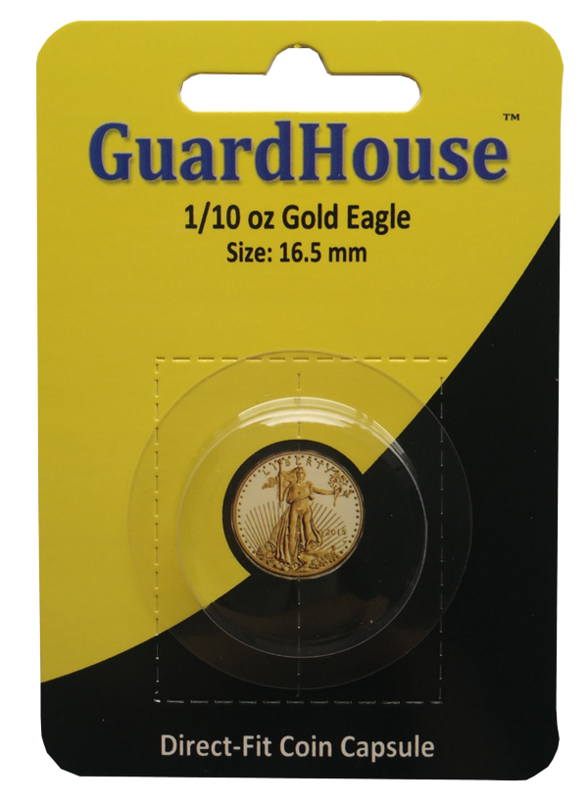 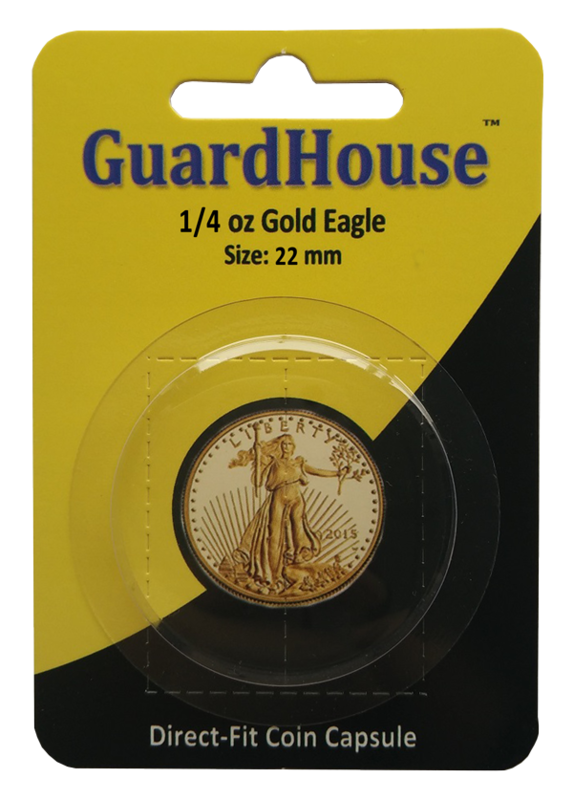 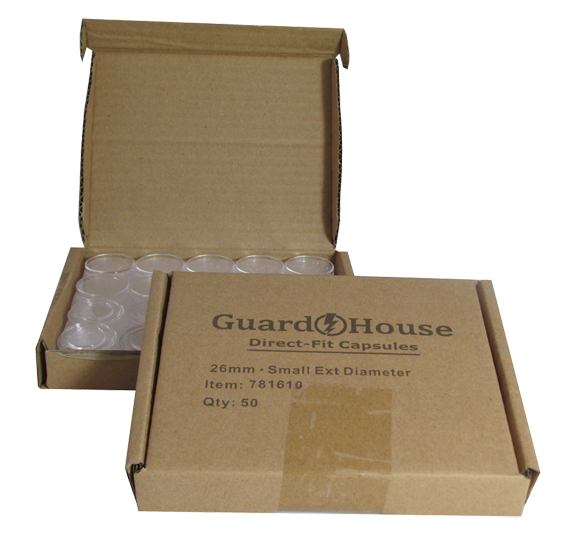 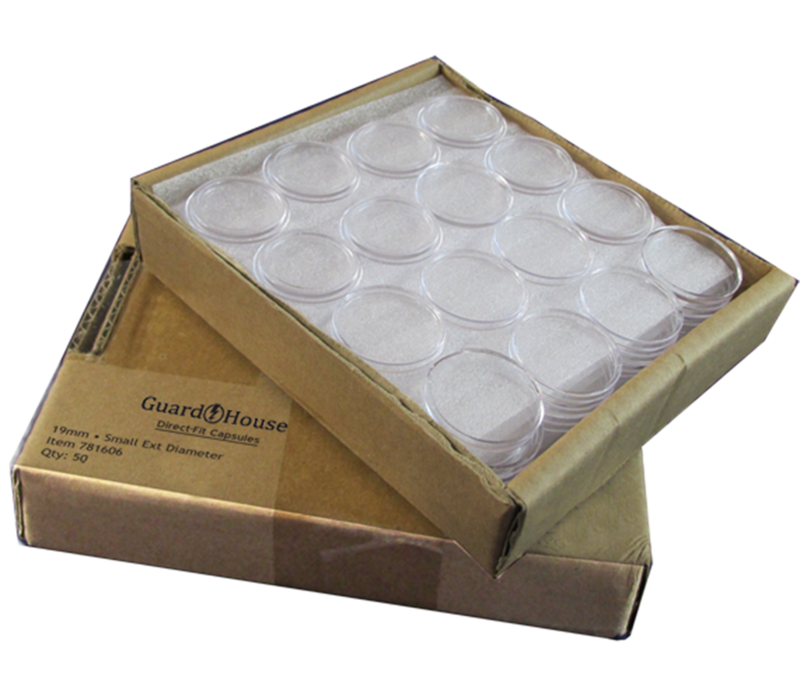 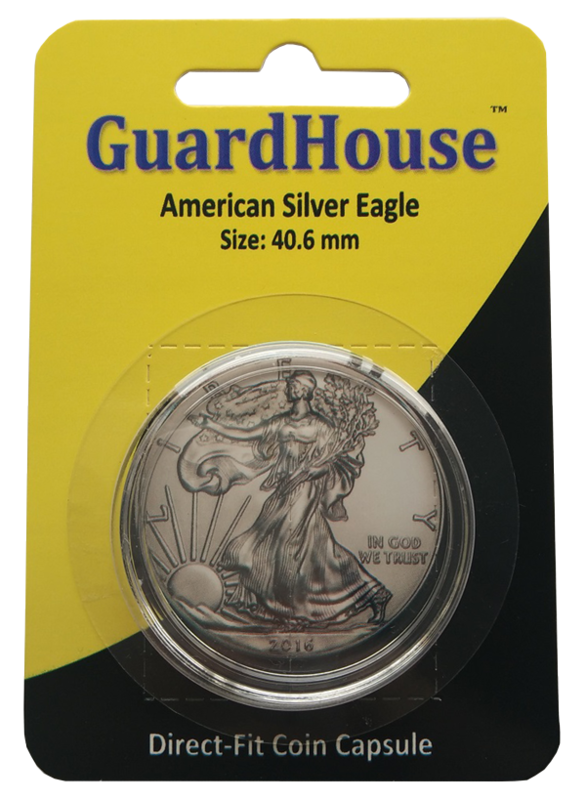 Small Dollar Direct-Fit Guardhouse Coin Holders-50 Model Size Color Pack Qty 091037816108 26.5mm (S) Clear 50 This 50 pack of coin capsules will hold your Small Dollar coins! 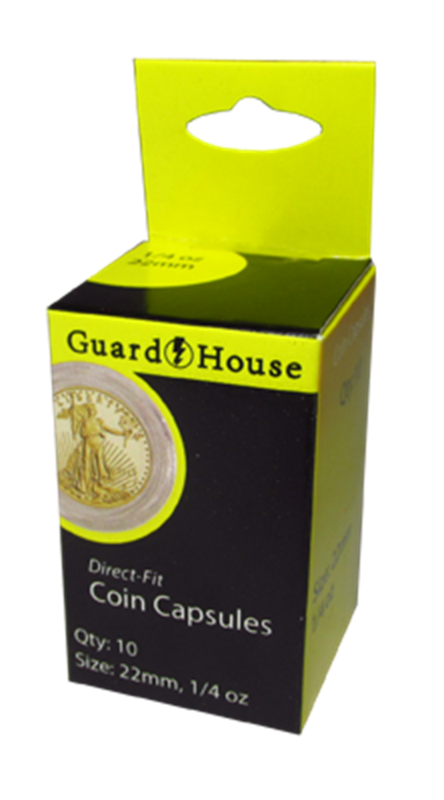 The capsule is designed to hold a 26.5mm coin.